Even the most amicable of divorces generally involve some kind of expense. The average cost of a divorce varies greatly based on how complicated the case is and on the kind of divorce you seek. At the very least you'll have to pay court costs and filing fees for divorce paperwork. But if lawyers are involved, costs can balloon from a few hundred dollars to several thousand or even tens of thousands of dollars. The cost of getting a divorce can exceed the average cost of a wedding. A pro se litigant is someone who represents himself or herself. While you can do this in a divorce case, legal professionals advise against it. However, in the case of a collaborative, uncontested divorce both parties may work together for a pro se divorce. This could mean using a "divorce kit" and working together to get the divorce filed and granted. In this scenario, the average cost of a pro se divorce could be as low as $300. Working through the divorce paperwork on your own and filing the papers with the courts yourself (as opposed to hiring a lawyer to help you with both steps) can save you thousands. However, this simplest form of divorce only works in simple cases. If there are children involved or complicated assets to split, cheap and easy is probably not an option. Nick Cannon and Mariah Carey separated in May and have reportedly been working out the terms of their divorce with lawyers. The unlikely duo originally exchanged vows in 2008. Paula Patton and Robin Thicke first announced their separation in February through a joint statement and Patton followed up with a divorce filing in October. The pair had been dating since they were teenagers and share one child together. Model Amber Rose filed from divorce from rapper Wiz Khalifa after a little more than a year of wedded bliss. The pair, who called it quits in September, share a child. Evan Rachel Wood and Jamie Bell split after two years of marriage with their rep stating they, "will of course remain committed to co-parenting their son." Will Arnett officially ended his marriage to comic Amy Poehler when he filed for divorce in April 2014, although the funny pair originally separated in 2012. "We have thoughtfully and consensually decided to finalize our almost twenty years marriage in a loving and friendly manner..." Melanie Griffith and Antonio Banderas said in a joint statement after Griffith filed for divorce in June. Pamela Anderson filed for divorce from Rick Salomon -- for the second time -- in 2014. The couple was married for two months in 2007 before having the marriage annulled. Musician Jewel took to her website to announce her divorce from World Champion rodeo cowboy Ty Murray, writing "We wanted our separation as husband and wife to be nothing less loving than the way we came together." The duo ended things in July but appear to still be friendly. After 13 years of marriage actress Angie Harmon and former NFL player Jason Sehorn decided to separate in November. The longtime lovebirds, who have three young children, asked for privacy at the time of their split. Katharine McPhee and Nick Cokas were married for six years before separating for a year and the American Idol alum's divorce filing in May. McPhee notably stepped out with her married "Smash" director Michael Morris during her separation. "Twilight" star Nikki Reed and "American Idol" alum Paul McDonald lived separately for six months due to "work obligations," before announcing their divorce in May. “After long and careful consideration, we have decided to separate after five years of marriage," Adriana Lima and former NBA star Marko Jaric shared in a joint statement in May. Rhonda Forlaw sought primary custody of the her three children with her husband Trace Adkinds when she filed for divorce from him in May after 16 years of marriage. Lamar Sally requested that his prenup be invalidated, based on "fraud," when he filed for divorce from former "The View" co-host Sherri Shepherd in the fall. The pair were also involved in a custody battle over their baby. High school sweethearts, Cuba Gooding Jr. and Sara Kapfer split after 20 years of marriage and three children together. The two walked away from matrimonial bliss in April. Lauren (née Skaar) Vartan filed for divorce from Michael Vartan just three days after their third wedding anniversary. Erika Jackson filed the divorce papers citing “irreconcilable differences," after 18 years of marriage to former "American Idol" judge Randy Jackson. Sofia Karstens and Jason London called it quits in early February of 2014, saying they need time to "focus on some growth independently." An "irretrievable breakdown" was the reason cited for the break up of the 17-year marriage between Tea Leoni and David Duchovny in June. Leoni later said that she would always love her ex and their kids were most important to both of them. The duo are parents to Kyd Miller, 12, and Madelaine West, 15. After 36 years of marriage, musician Neil Young filed for divorce from his wife and frequent collaborator, Pegi Young, who inspired his songs "Such a Woman" and "Once an Angel." Another way to save on the costs of a divorce is to turn to a mediator instead of enlisting the services of lawyers. Particularly if you're embarking on an uncontested divorce, a mediated divorce can be a much less costly option that a litigated divorce. Again, this option works best when matters are relatively uncomplicated and both parties are willing to cooperate. You can employ a mediator who works with each party one-on-one and aids in communication between the two parties. Alternatively, both parties can sit down with the mediator and hammer out the details collaboratively. Private mediation can be billed using a flat fee or an hourly rate. Mediators generally charge lower hourly rates than lawyers, but the cost can still add up if the process drags on. The hourly rate for private divorce mediators is generally between $100 and $200. 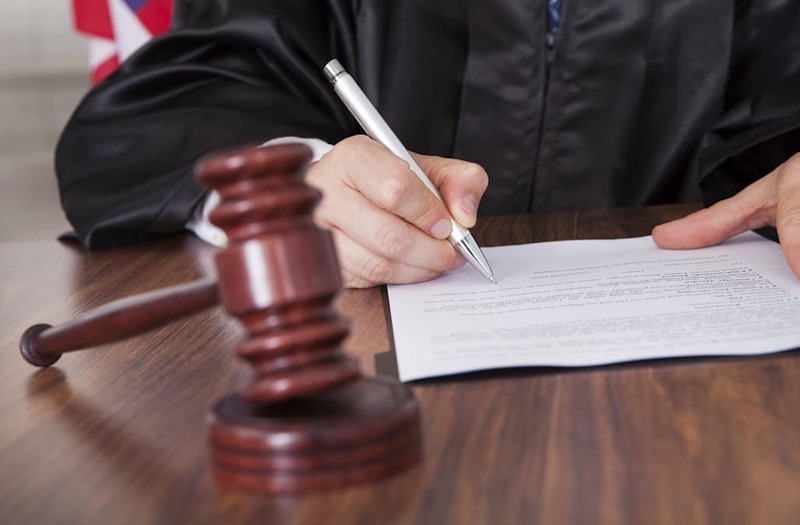 Even if a divorce goes to trial the judge may order both parties to go to mediation. Court-ordered mediation is free to both parties and is non-binding. However, if you retain the services of a lawyer in a contested divorce and are then ordered to go to mediation, you will still run up legal bills for the work your attorney does to advise you and monitor the mediation process. Your lawyer will also bill you for the time spent revising the settlement reached in mediation. A contested, litigated divorce is the most expensive route. Costs can go as high as $50,000, or higher if wealthy parties and expensive lawyers are involved. Typically, divorce lawyers will charge an hourly rate of $250, but this can vary based on the firm and the city (rates are higher in expensive cities). Parties in a divorce can decide whether they want full representation, or if they want a more limited service such as an initial consultation or an attorney review of a settlement reached in mediation. The average cost of a litigated divorce is around $15,000. Attorney fees (which are generally not tax-deductible) aren't the only costs. You may need to hire an accountant to assess the assets that are being divided, or hire an appraiser to value the family home. Counseling for both parties (and any children involved) may also be necessary. There are court fees to pay as well. Many divorces settle, curtailing the costly trial process. Naturally, cases that settle out of court tend to carry a lower average price tag than divorces with a protracted trial. Regardless, you'll have some up-front costs. Clients pay a retainer when they first find a lawyer to help them through the divorce process. For many who divorce, the process carries high emotional and financial costs. The emotional stakes and the amount of money on the line – both in assets and attorney fees – are good reasons to seek skilled help, whether from a mediator or a lawyer. Do your research before committing to either. The post The Average Cost of a Divorce appeared first on SmartAsset Blog. Do Sin Taxes Affect Cigarette and Alcohol Consumption?